Superior craftsmanship combined with elegance defines this custom-built RL Vogel home. This 5 BR, 5.5 BA, 3-car garage, 6,130 SF estate is perfectly positioned, on 3/4 acre lot, at the end of a private cul-de-sac street, in 24 hour guard gated Reserve at Lake Butler Sound. 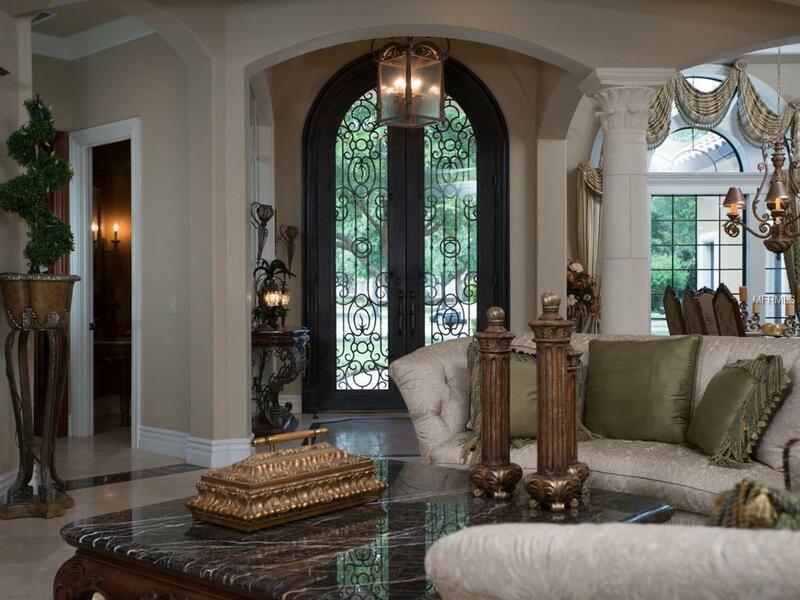 When you open the 12-foot glass and iron double doors, you realize you are not in just another cookie cutter home. This home is like a work of art created with the finest materials used and no detail has been overlooked. Dramatic beamed ceilings, stone, and exotic woods are all throughout the home. This thoughtfully designed, fully functional layout, is perfect for entertaining guests or relaxing with family. The kitchen features top of the line appliances with a professional gas cook top, subzero refrigerator and huge oversized pantry would be any chefs dream! The expansive patio features a summer kitchen and lots of space for entertaining family and friends. The resort style setting includes a sparkling pool and spa, fireplace and a large fenced lush lawn, adjacent to the conservation greenbelt for added privacy. Many more features and amenities you must see to appreciate.